Israeli soldiers invaded, Thursday, Sa’ir town, east of the southern West Bank city of Hebron, and shot two Palestinians with live fire and rubber-coated steel bullets, in addition to causing many others to suffer the severe effects of teargas inhalation. 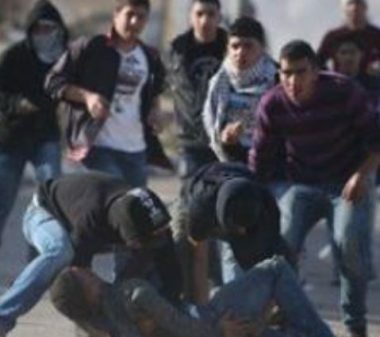 Dozens of soldiers invaded the town, and assaulted dozens of protesters, before shooting one Palestinian with live fire, before he was rushed to Hebron governmental hospital. The soldiers also shot another Palestinian with a rubber-coated steel bullet, in the western part of the town, and caused scores of residents to suffer the effects of teargas inhalation. Furthermore, the soldiers invaded the al-Fawwar refugee camp, south of Hebron, and fired gas bombs, causing many Palestinians to suffer the effects if teargas inhalation. Many students also suffered the effects of teargas inhalation after the soldiers invaded Palestine Technical University, in the al-‘Arroub refugee camp, north of Hebron. It is worth mentioning that the soldiers invaded Tal village, south of the northern West Bank city of Nablus, and abducted a child, identified as Islam Ayman al-Hijja.